Everybody knows that the Chinese love gambling and in China online slots are a huge thing. Most "western casinos" make slots for the target market and these have little appeal for chinese players. 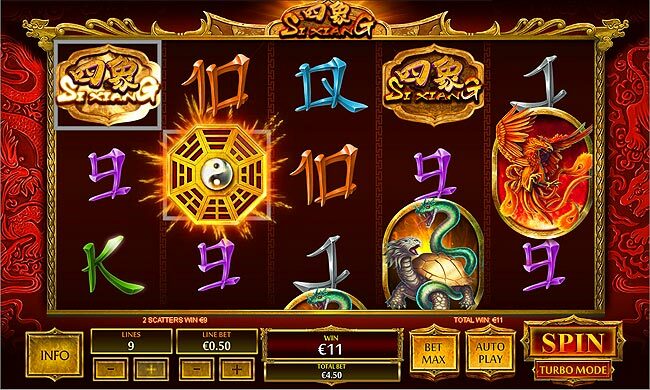 Playtech have developed a range of online video slots with a chinese theme, symbols and gameplay. The Great Ming Empire is the first game in the series that also includes the games SI XIANG, JIN QIAN WA, WU LONG, JADE EMPEROR (YU HUANG DA DI), SUN WUKONG, JI XIANG 8, ZHAO CAI TONG ZI and FEI LONG ZAI TIAN. All these game have bright vibrant colours and pretty basic gameplay, but the good thing is that the payouts and line wins are bigger, primed for large bets, just like the Chinese like it. All the games offer something slightly different in terms of paylines, bonuses and style of play. 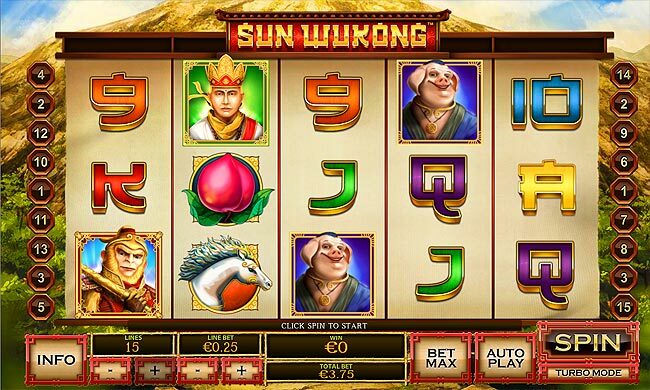 Sun Wukong is a 15 payline video slot game with chinese symbols that remind me of the cult 1980's chinese TV show MONKEY. This game offer a free spins bonus game where you can get 20 free games with a multiplier. 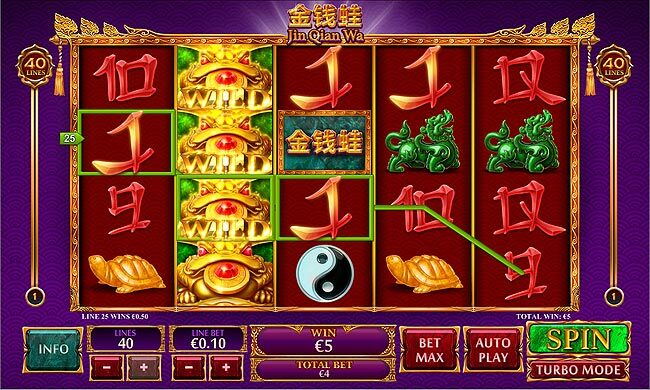 Other games like Jin Qian Wa have 40 paylines and offer stacked wilds on all reels. Nearly all the games have a bonus feature or two. The symbols are basic and have chaines style fonts for the 9, 10, J, Q, K and A. But after that you will see emperors, monkeys, cats, tigers and chinese lanterns. Free Spins are the favourite bonus game and can be found on several of the games. You will also notice that many games have less paylines and fewer different symbols. Payline wins are not so frequent but you get a bigger pay when you do get a payline win. These games offer a new style of game play, that can now be introduced into predominantly western online casinos. The lack of bonus game on some of the slots is replaced with a "pays both ways" feature. Which is common for chinese casinos. This gives better wins with bigger payouts!! We have all the Chinese themed online video slots available to play immediately. Take your choice of welcome bonus and start playing today. Just hit the "PLAY NOW" button below to get started with registration at the worlds favourite online casino.